At St Hilda’s we put Christian values at the heart of community. Religious Studies is taught across all key stages. At KS3 we take a thematic approach to lessons, considering how different religions would respond to different ethical issues such poverty, prejudice and war. At KS4 all pupils study GCSE which comprised of two key strands. Part 1 is a study of religion and consists of a detailed study of the key beliefs, teachings and practices of Christianity & Islam. Part 2 is thematic and focus’ on contemporary ethical issues and how Christianity and Islam respond to them. 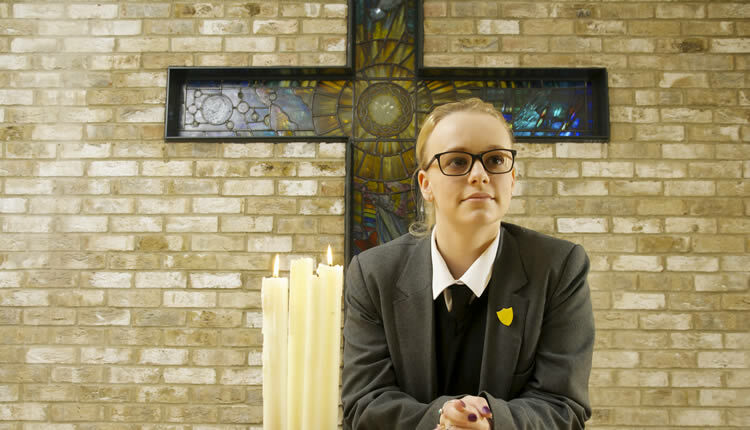 At KS5 we offer A-Level Religious Studies which consists of 3 components; philosophy of religion, religion and ethics and developments in Christian thought. What is RE like at St Hilda’s? Religious attitudes towards prejudice and discrimination. Religious attitudes toward war and peace. As a department, we recognise the importance of meeting people of faith first hand and aim to prove students with as many out of the classroom learning opportunities as possible. We have well-established links with local places of worship visiting the Al-Rahma mosque and Anglican cathedral regularly. Some students visited Auschwitz concentration camp in Poland in February and every year we welcome the holocaust education trust and hear the testimony of survivors. We follow the OCR examination board. The course consists of 3 units; philosophy of religion, religious ethics and developments in Christian thought. We aim to inspire your students to engage with major issues relevant to the 21st century, and to acquire knowledge and a critical understanding of these. This is the study of ideas and thinking. Candidates are expected to gain knowledge of Philosophers who have had a major influence on the world. The course will also examine the influence of, and the challenges to religion made by Darwin, Hume and Russell. Students will discuss and critically examine the strengths and weaknesses of various arguments. This is a study of right and wrong. Students will critically examine a number of ethical theories and how they are applied to several key issues. The course will include applied ethics when students will carry out a detailed study of topics such as euthanasia, business ethics and sexual ethics. This is an attempt to explore the questions raised by religion (in this case Christianity) from the point of view of the beliefs Christians live by. It includes the study of key thinkers and themes such as what constitutes sin, sexuality, the afterlife, the person of Jesus, gender and liberation theology.